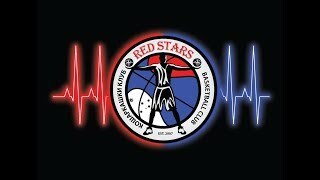 Red Stars Basketball Club was established on 07.07.2007. The club is a non-profit organisation. Red Stars has received its name from the most popular, and greatest Serbian sport team Red Star Belgrade - Crvena Zvezda Beograd. Whilst Western Sydney has the large Serbian population, it was ideal to choose a name for the club that was very well known to the Serbian people. The pre-establishment of the club was based on long-term sports and social aims, along with professional work and basketball knowledge to improve in all aspects. It is a very dynamic sport that helps children develop mentally and physically in the best possible approach, which can also help them in other aspects of their lives. Our club goal is to contribute to youth the solid foundation that leads to a successful adulthood. Red Stars Basketball Club is dedicated to impacting and supporting youth in the community through teaching important life skills such as discipline, work ethics, athletic honesty, relationship building and good sportsmanship. Red Stars is focused on teaching the good habits, which will carry on with our players into their future lives, as well as on the basketball court. Since 2007 to this day, the club has had over 350 players, these players compete in local Bankstown Competitions on Mondays, Wednesdays and Fridays. There are Senior Men’s Teams competing on Mondays and Women’s Senior Teams competing on Wednesdays. On Fridays we have junior teams also competing in the local competition. Red Stars players are also representing other Sydney Metro Basketball Associations. Red Stars Basketball Club has been participating in all DMC (Draza Mihailovic Cup) annual competitions since 2008. 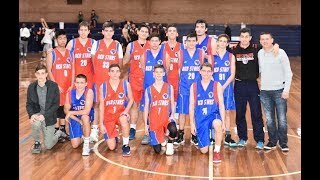 Draza Mihailovic Cup is an annual basketball tournament where Serbian basketball clubs from all over Australia gather and compete against one another. The first DMC tournament dates back to 1993. DMC is one of the major sporting events in the Serbian-Australian diaspora, and as such, it is very significant for the entire community of Serbs in Australia. 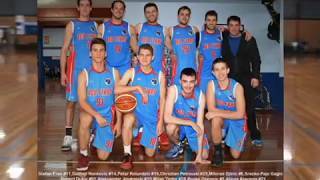 Apart from hosting many teams and players from all over Australia, DMC in addition promotes the sport of basketball. As a basketball coach of Red Stars Basketball Club, I likewise endorse the importance of sport, and a healthy lifestyle among young people who live in Australia. Since competing the first time at DMC, Red Stars have achieved excellent results in junior and senior age groups. All the club achievements can be viewed on the website www.bcredstars.com under the heading Club History. Our Club had the honour to host DMC for the very first time in 2016. Red Stars Basketball Club has been visited by two very special basketball players. Vlade Divac is a Serbian professional basketball executive and former player. Divac spend most of his career in the National Basketball Association (NBA). On August 20, 2010, he was inducted into the FIBA Hall of Fame in recognition of his play in international competitions. With the national team, Divac has earned 2 gold medals at the FIBA World Cup, 2 silver medals at the Summer Olympics, and 3 gold medals at the FIBA EuroBasket. Dušan Domović Bulut is a Serbian professional basketball player who is currently ranked world No. 1 in men's individual 3x3 rankings by the International Basketball Federation (FIBA). He plays for Novi Sad Al-Wahda and Serbia men's national 3x3 team. Domović Bulut started to play at the FIBA 3X3 World Tour in August 2012. Dusan Domovic Bulut won two gold medals at the FIBA 3x3 World Championships, 2012 in Greece and 2016 in Chinaand silver medal at the 2014 tournament in Russia. On 2017 FIBA 3x3 World Cup he won 3rd gold title for Serbia national team.